A river outside Russia’s Arctic city of Norilsk has inexplicably turned blood-red, puzzling locals and prompting authorities to launch an investigation into the cause of the anomaly. 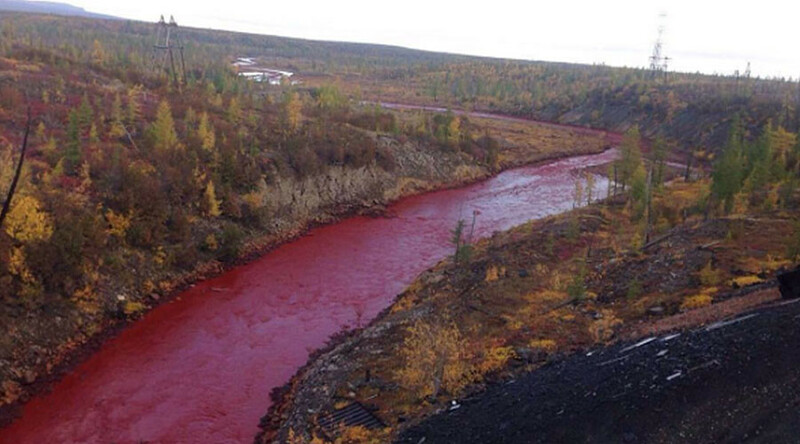 The Daldykan River near Norilsk in Siberia lost its natural color on Tuesday, as locals posted jaw-dropping images of the crimson river on social media. Russia’s Ministry of Natural Resources and Ecology confirmed that it had received reports of river pollution “with an unidentified chemical substance,” saying there could have been an accident at the Norilsk Nickel plant, the world’s largest producer of nickel and palladium. The plant’s administration denied these allegations, however, RIA Novosti news agency reports. 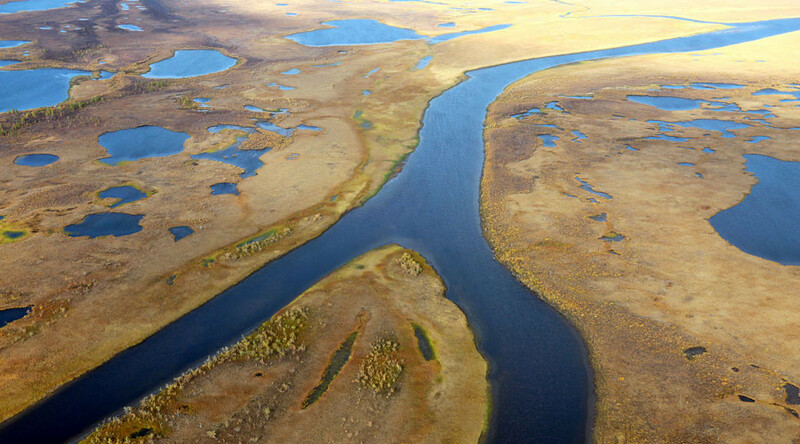 “As of today, the polar division of the [Norilsk Nickel] company cannot confirm any leakage or accidental discharge of industrial waste into the Daldykan River, which could have affected the river’s state,” the company said in a press release. Nonetheless, it has been decided that the plant will temporarily lower its operational capacity and monitor the state of the environment around the facility and in the affected area of the river. 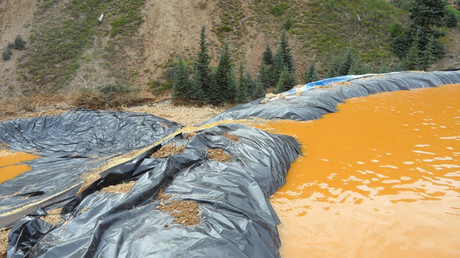 The company also provided an aerial photo said to be shot on the same day and showing the water was of regular color. Surprisingly, the plant’s press service told the news agency that the river’s color right now is actually its natural one. Local emergencies service said they had not received any complaints about the river and have therefore not addressed the issue. A state of emergency has not been declared, according to Norilsk mayor’s office, as the river does not contribute to the city’s water supply. Locals have been more inquisitive, however, and have enthusiastically suggested reasons for the color change, with some asking whether a new episode of The Crimson Rivers was being filmed in the area, while others have suggested that it’s high time to go fishing, as all of the fish could now pass for salmon. Others blame the mining plant, which locals call by the female name Nadezhda (Russian for Hope), saying it is having its time of the month. Some noted that it’s not the first time they have come across such a strange phenomenon, saying that this effect occurs when the river washes out subsurface rock formations, which mostly consist of nickel and copper.